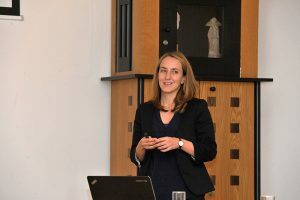 The German Federal Institute for Materials Research and Testing (BAM) in cooperation with the SCALE Project, organised a workshop on secondary raw materials / urban mining data management in close connection with a scientific exchange platform for stake holders of the European scandium inventory. Our group was represented at both events. On behalf of our group, Dr. Éva Ujaczki presented a lecture on the ENFO-MOKKA environmental database, which incorporates the SCALE database planned within the SCALE project. The SCALE database may include information not only on Sc containing wastes but also on other Critical Raw Materials. Dr. Éva Ujaczki, as first author, in collaboration with Hungarian, Irish, Swiss and Greek scientists, has presented a stop-gap review article on bauxite residue in the Journal of Chemical Technology & Biotechnology published by John Wiley & Sons Ltd on behalf of Society of Chemical Industry. The paper does not only discuss the re-use options of bauxite residue (red mud), but it outlines their environmental consequences. The paper (Éva Ujaczki, Viktória Feigl, Mónika Molnár, Patricia Cusack, Teresa Curtin, Ronan Courtney, Lisa O’Donoghue, Panagiotis Davris, Christoph Hugi, Michael W.H. Evangelou, Efthymios Balomenos, Markus Lenz: Re‐using bauxite residues: benefits beyond (critical raw) material recovery) can be reached via: https://onlinelibrary.wiley.com/doi/abs/10.1002/jctb.5687. The work was carried out with the support of a Swiss-Hungarian Sciex project and the Scale H2020 project. Our research group was represented by Kerekes Ivett and our students at the 7th Conference of the Hungarian Society of Ecotoxicology (24th November 2017). Our poster presents the ecotoxicological results of a 7 months soil amelioration microcosm experiment with red mud, aiming assessment of its environmental risks. At the conference we had the opportunity to listen to oral presentations about epigenetic effects, about the much debated glyphosate and several related glyphosate salt compounds, about the neonicotionide insecticides, and even about the meta-analysis of data on metals affecting nematodes. The Scale (Scandium Aluminium Europe) project became 1 year old on the 30th November 2017. The consortium with almost 40 participants has held its 1 year Project Meeting in Rotterdam. Dr. Viktória Feigl , Emese Vaszita and Éva Ujaczki attended the meeting on behalf of BME. We visited Tronox’s Rotterdam Botlek titanium dioxide (TiO2) producing facility, since one of the objectives of the project is extraction of scandium from the filter cake, the final residue of TiO2 production. BME’s research group is involved in the project with the following main tasks: assessment of the environmental effects of the planned processes, chemicals, wastes and products, environmental risk management, Life Cycle Analysis and development of an environmental database for scandium bearing wastes (included into the MOKKKA-ENFO database ). BME and FHNW with the collaboration of the consortium partners have completed the 1st public Deliverable on the environmental, health and safety controls that should be taken into account in SCALE technology development. The document has the following title “Markus Lenz, Dirk Hengevoss, Éva Ujaczki, Emese Vaszita, Viktória Feigl: Environmental, health and safety characterization of processes for application case studies”. The Round Table Discussion of the “Central Europe Leuven Strategic Alliance” (CELSA) was hosted by the Budapest University of Technology and Economics (BME) on the 16th November 2017. Besides BME, the following universities were represented at the event: KU Leuven (Belgium), Charles University (Czech Republic), University of Ljubljana (Slovenia), Semmelweis University (Hungary) and ELTE (Hungary). Each participant university presented a successful H2020 project with positive effect on the society. BME’s selected H2020 project, presented by Dr. Feigl Viktória, was the Scale (Scandium Aluminium Europe) . The main aim of the project is the efficient exploitation of EU high concentration scandium containing resources including bauxite residues (100-150 ppm) resulting from alumina production and acid wastes (50-100 ppm) from TiO2 pigment production to develop a stable and secure EU scandium supply chain to serve the needs of EU aerospace and high tech industry. Consequently, the project fits well into the Circular Economy Model of the EC. The Faculty of Chemical Technology and Biotechnology of Budapest University of Technology and Economics organises yearly the Scientific Conference for Students. 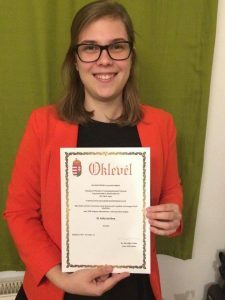 Major Mónika, BSc bioengineer student’s work, coordinated by Dr. Feigl Viktória has been awarded the 2nd place in the “Biochemistry and Biotechnology” section of the Conference in 2017. The title of the paper is: “ Study of the microbial activity and community level physiological profile in bauxite residue treated soils”. The research was performed within the OTKA PD 115871 project supported by the National Research, Development and Innovation Office. In addition, Major Mónika won also the special price of the “American Society for Microbiology” for her work. 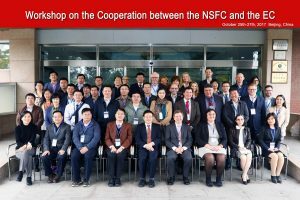 The National Natural Science Foundation of China (NSFC) and the European Union (EC) organised a workshop between 25-27 October 2017 in Bejing, China. The subject of the workshop was the call for proposals in biotechnologies based on EU-China collaborations launched jointly by the EC and NSFC. Dr. Feigl Viktória represented Hungary at the workshop as EC expert. The two main topics of the workshop were the following H2020 calls: “CE-BIOTEC-04-2018: New biotechnologies for environmental remediation (RIA)” and “CE-BIOTEC-05-2019: Microorganism communities for plastics bio-degradation (RIA)”. The deadline for application submission within the “New biotechnologies for environmental remediation (RIA)” call is 25th April 2018. Further details can be reached here. The call within the second topic will be open in October 2018. The photo shows the workshop participants. Dr. Molnár Mónika, Dr. Feigl Viktória és Dr. Fekete-Kertész Ildikó visited the French research group between 15-20 October, 2017 and were guided through the premises of the group L’Equipe Chimie et Ingénierie des Procédés where they got introduced in the work performed there, specifically the analytical methods for determination of micropollutants and the treatment possibilities of the contaminated environmental elements. For the future an exchange of Hungarian and French students within the ERASMUS+ program is planned and the publication of the joint research results. 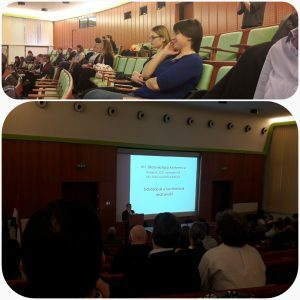 The Environmental Microbiology and Biotechnology Group (KMBCS) of the Applied Biotechnology and Food Science Department of the Budapest University of Technology and Economics (BME) participated at the 9th edition of the International Conference on Environmental Engineering and Management (ICEEM09) held between 6 – 9 September 2017 at the Alma Mater Studiorum of the University of Bologna, Italy. This year the conference (ICEEM09) focused on the themes of Circular Economy and Environmental Sustainability, the new European paradigms for economic development. The detailed programme of the conference can be reached here. The Environmental Microbiology and Biotechnology Group (KMBCS) of the Applied Biotechnology and Food Science Department of BME participated at the ICEEM09 conference with 4 oral presentations (3 on biochar topics and 1 on bauxite residue).